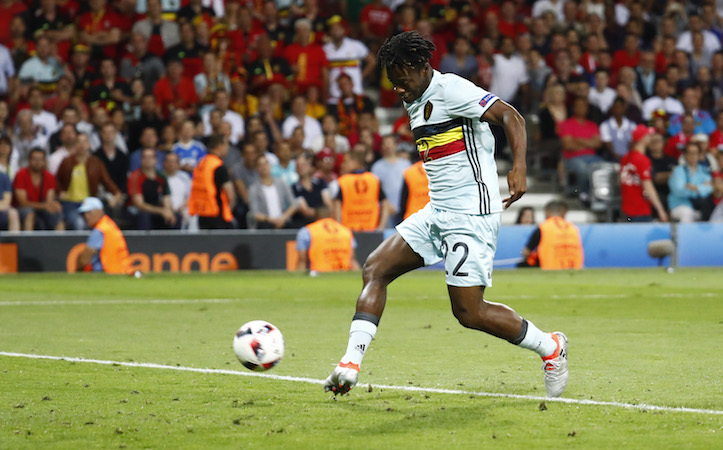 Chelsea are edging closer to signing Belgium striker Michy Batshuayi from French Ligue 1 side Marseille. The 22-year-old is currently away on international duty with Belgium who qualified for the Euro 2016 quarter-finals last week. The Belgium international has been linked with a host of Europe’s top clubs after scoring 17 goals in Ligue 1 last season, according to SkySports reports. Batshuayi has also attracted offers from the like of Premier League clubs, West Ham United, Crystal Palace and Tottenham Hotspurs. The former Standard Liege striker is expected to become Antonio Conte’s first signing as the new manager of Chelsea if a deal between the two clubs can be reached. The striker is understood to be given special dispensation to have a Chelsea medical while in Bordeaux. Media reports suggest that Batashuayi will join Chelsea for a fee of £33.2million and sign a five-year contract at Stamford Bridge.